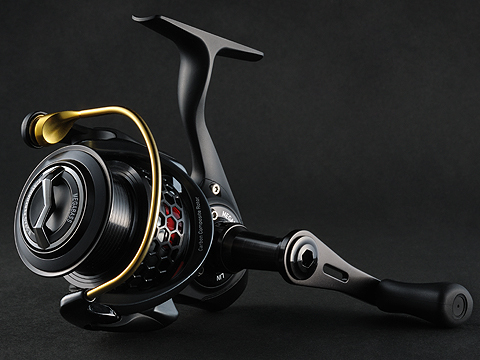 The LIN258HM is a battle reel made to withstand tough and intense fishing. The aluminum gear drive is finished off by carefully machining each gear tooth with extreme precision. The extreme engineering skills employed allow the drive gear to be fitted to the pinion gear with only microns to spare. The seamless silky drive of the LIN is made of high-precision high-rigidity aluminum, which prevents deflection of the supporting gear housing. The precision manufacturing process combined with the soul of the craftsmen who assemble the product are what make the LIN what it is. This silky gear engagement of the LIN is what creates its sensitivity and creates the high power that engages immediately when turning the handle. Furthermore, in the mechanical housing, the moving parts are protected with the latest magnetic fluid shield. The rotor is made from lightweight graphite composites to reduce centrifugal force and increase stability. The spool also has also undergone weight reduction, implementing a durable honeycomb construction. The mechanical power assist of the handle gives it power equal to higher spec'd models. 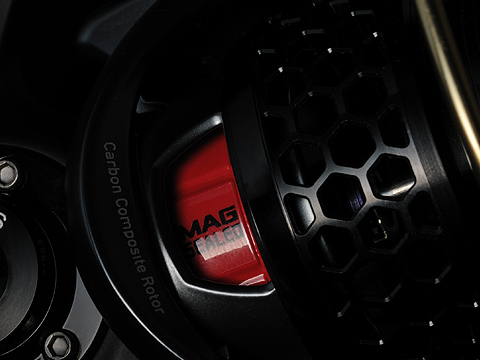 In order to withstand the power of world record size bass, the M drag system is incorporated with its multiple structured, smooth, durable, heavyweight carbon. The LIN258HM is a powerful spinning reel that shows excellent performance when dealing with bass, sea bass, and large trout species.